Ranger Command Power Hour Episode 128 - Rangers Commentary - "The Wanna-be Ranger" + nWay Dragonzord Power! 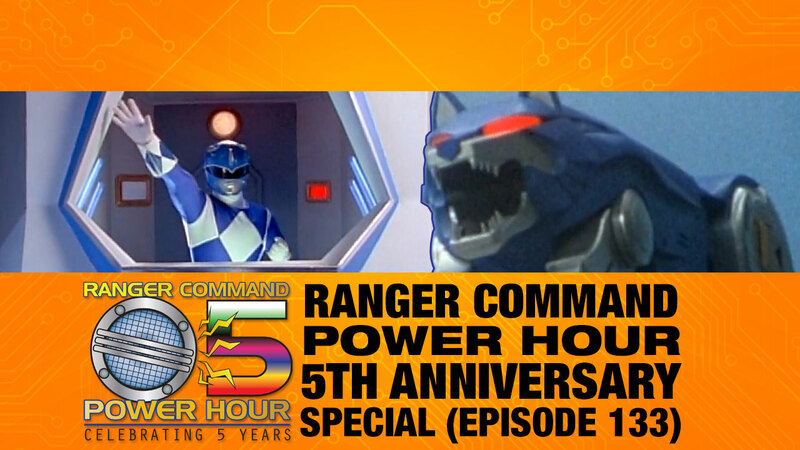 It’s time to Ranger Up with @trekkieb47 @secretrangerfan & @ZachLaVoy as they talk all things Power Rangers on the Four Eyed Radio Network with Ranger Command Power Hour! In our next Rangers Commentary installment, Eric and Zach unleash Primator from Season Two of Mighty Morphin' Power Rangers, "The Wanna-Be Ranger". For the first time the Dragonzord fights alongside the Thunder Megazord in badly edited footage! Then in our Power Rangers: Legacy Wars segment, "Dragonzord Power!" [28:55], we interview nWay's Combat Designer Daniel Maniago. Daniel tells us about his time in the gaming industry, what the Combat Designer's role in the game's production means, and all of the details on the newest Megazord release, DRAGONZORD! Plus we get another tease of upcoming characters from Chris Peralta. 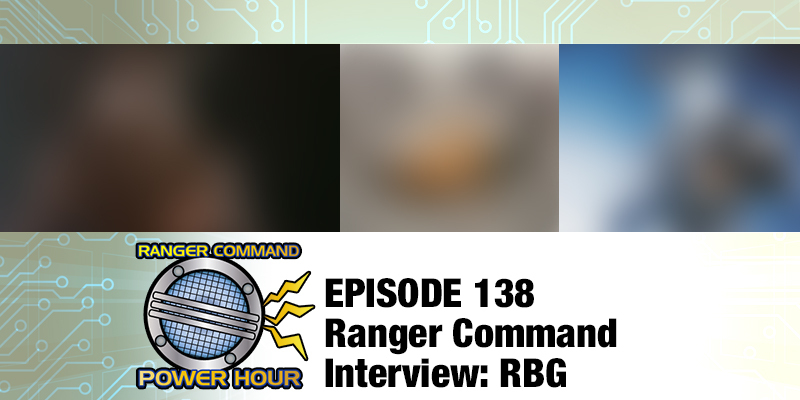 Ranger Command Power Hour - Extra Episode 045 - "Rangers Commentary - Listener's Choice - Lightspeed Rescue: The Fate of Lightspeed, News and Eric in Japan!" In our next Rangers Commentary installment, brought to you by our supporters on Patreon, Eric, A.P. and Zach watch one of the best Power Rangers' finales of all time, Lightspeed Rescue's "The Fate of Lightspeed"! What happens when the demons take control of the Aquabase and the Rangers are backed into a corner? On our news segment we discuss Hasbro's Power Rangers Lightning Collection Wave 1 leaks, Playskool Heroes for Power Rangers and Lineage Studios Lithograph prints. Then, Eric discusses his trip to Japan and answers listener questions. Finally, Eric talks about his time at the Chicago Toy and Game Fair (ChiTAG) 2018! Thanks for adding in the timestamps! Hearing all of your excitement for the new toys is always great to hear. I second the V-Lancers for the Lightspeed figures. I loved hearing you talk about Japan. It's always been somewhere I've wanted to travel to, and just hearing you talk about it made me want to go even more. Zach was right, all your food talk, made me hungry as I was listening to it, but that and even the pictures you posted doesn't do it justice. I'm so glad you've had a great experience. I really do hope you can go back one day. I started doing timestamps for some of our longer form/segmented episodes to make it easier for people. And yeah going to Japan was a blast and makes me want to go even more. I am motivated! Your HO-HO-Hosts Eric, A.P. and Zach kick off December with our fourth “Ranger Holiday Gift Guide". We guide you through a bunch of Power Rangers products for the Power Rangers fan in your life, adult collector and child alike. From toys, home media, and comics to cosplay, art and collectibles, we have you covered! 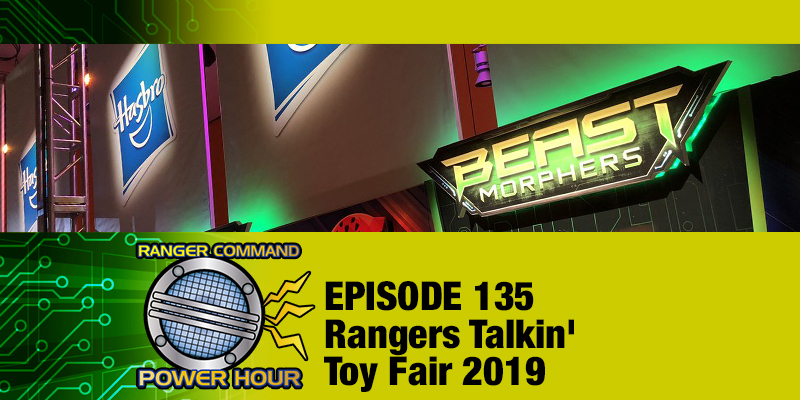 We also talk about the latest news including Noam Kaniel returning for Beast Morphers, the Beast Morphers potential toy lineup, and the Super Sentai Artisan Degitaizer delay. Finally, we read your Power Rangers holiday wish list in our Ranger Nation Answers segment. She's a Santa Ranger Fan! On this episode we are interviewing Ellen Otsuka, Associate Game Designer for nWay Games' Power Rangers: Legacy Wars. Legacy Wars has added the newest villain to the roster with the Wolf Duke Org, Zen-Aku from Power Rangers: Wild Force. We talk with Ellen about her role as "The Lore Master" and her background in the gaming industry. Learn about her favorite thing she found while digging through Power Rangers history, all the details about Zen-Aku, the new Raids system she developed, the research process into bringing characters into the game and more! Finally, Chris Peralta (Community Development) gives our listeners a present as he teases the status of Balance Changes, a new perk for VIP members, the upcoming Holiday arena, and when the next playable character will release! On this episode we take a look back at 2018 and leading up to our 5th Anniversary as a podcast this January. We review the 25th Anniversary year in Power Rangers news and our show, giving thanks to those we interviewed, Ranger Nation spotlight members and our amazing listeners. We also discuss the latest news including Shout! Factory announcing Ninpuu Sentai Hurricanger on DVD, Power Rangers Super Ninja Steel coming to DVD and Go Go Power Rangers being nominated for Best Comic of 2018 by IGN! It's 2019 and our first episode of the new year! 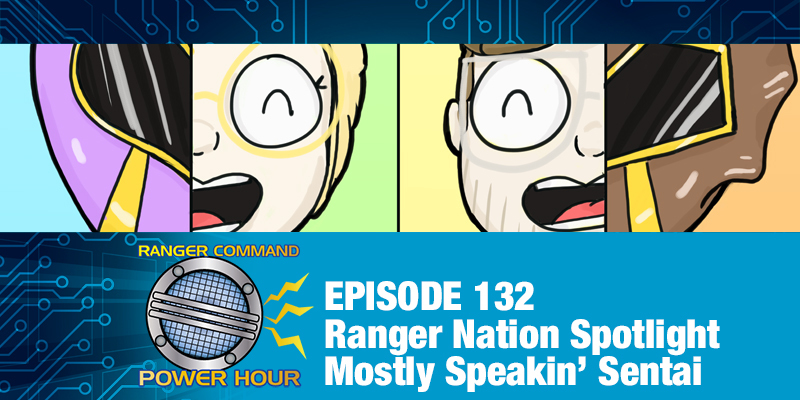 Our Ranger Nation Spotlight series continues as Eric (@trekkieb47) and Theresa (@thetg17) team up with James and Nicole from the podcast Mostly Speakin' Sentai (@MSSPod). Mostly Speakin’ Sentai is a new Chicago-based podcast focused on watching sentai with people who have never seen it before. Things go off the rails when we have the longest ad read ever and James buys the Four Eyed Radio Network! What improvements (NOT changes) will alter the face of the podcast? If you survive, we talk about James and Nicole's history with Power Rangers, their podcast, James' music background, Nicole's art and more! 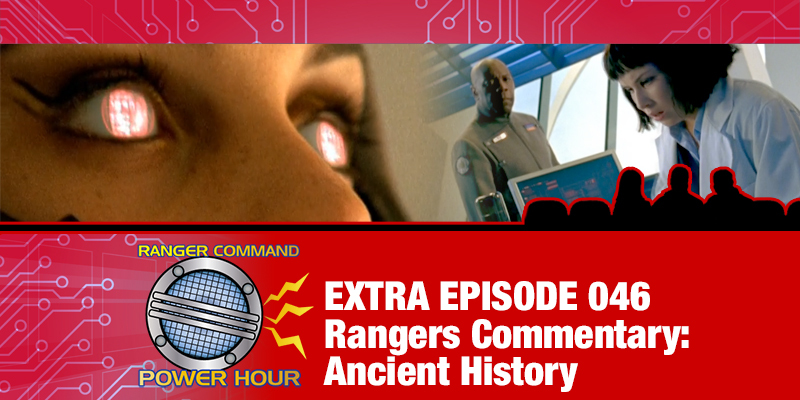 In our next Rangers Commentary installment, brought to you by our supporters on Patreon, Eric and Theresa watch Power Rangers: RPM - "Ancient History". What megazord formation gave Theresa uncontrollable laughter? What were the Rangers doing in their zords? Why was Scott standing in a field for 20 minutes? On our news segment we discuss the newest addition to Power Rangers: Legacy Wars and the newly announced Power Rangers: Battle for the Grid. Finally, Eric and Theresa get serious as they discuss the Anime L.A. Car Fire incident and what members of Ranger Nation can do to help one of our own. Having a 5th Anniversary Livestream episode tonight. All are welcome to join. Last edited by trekkieb47; January 22nd, 2019 at 10:17 AM. 5 YEARS! The hosts celebrated with listeners on our Anniversary YouTube live stream. In the news, we discuss our thoughts on Battle for the Grid game from nWay Games, additional thoughts on the Anime L.A. arson fire, Power Rangers Beast Morphers new power up mode, the cast heading back to film season 2, Jackie Scislowski featured in a local Chicago newspaper, Megazord car shades and MMPR on DVD... again. Then, we answer Ranger Nation listener submitted questions like: is Power Rangers a "dead brand", our favorite RCPH episodes, surprises of the podcast, our "we made it" moments, interview wants, sentai adaptations, the comics and more! Tune in for a bunch of laughs, technical difficulties and our deepest thanks for the support all these years. 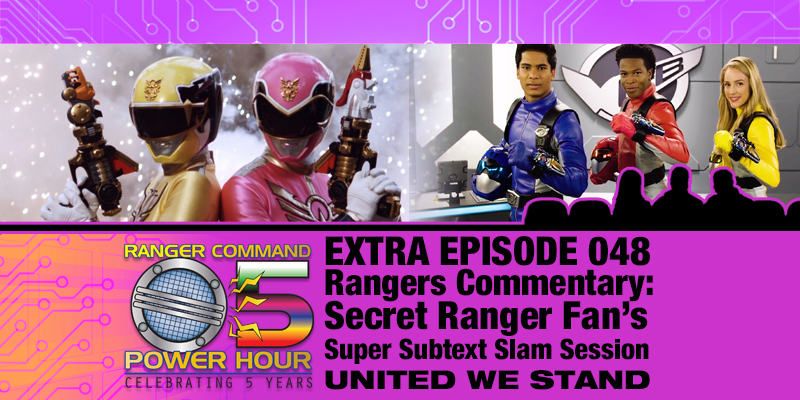 In our FIRST Secret Ranger Fan’s Super Subtext Slam Session, brought to you by our supporters on Patreon, Eric, A.P. and Derek (@DerekBGayle) watch Power Rangers Lightspeed Rescue - "Riding the Edge". We discuss the very obvious subtext of this episode and wonder... was this intentional? Then, an exclusive announcement as Derek announces a new show coming to the Four Eyed Radio Network! Dorsie, Nancy, Kelsey... oh my! 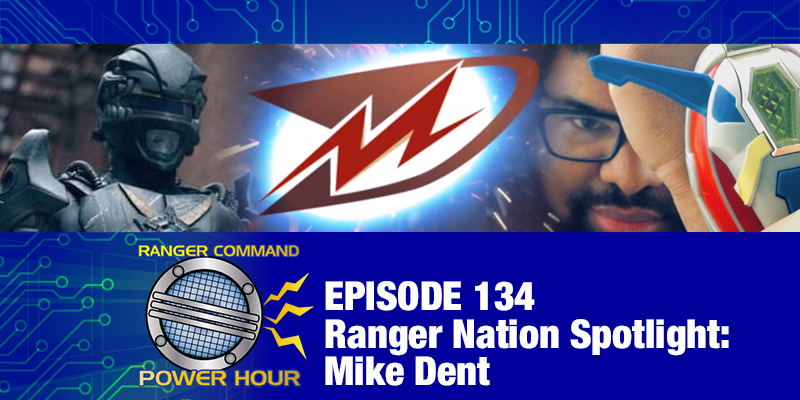 Our Ranger Nation Spotlight series continues as Eric (@trekkieb47) speaks with his long time friend, Mike Dent (@Mach_Dent). Mike is a Writer, Voice Actor, and Filmmaker based in Milwaukee, Wisconsin. He’s a co-founder of The Tokusatsu Network, podcast co-host/producer for FRIDAY ACE and R5 CENTRAL (a 2008 Parsec Award Finalist), writer for Otaku USA and voice of the Arbiter in Power Rangers: Unworthy and creator of Vintage Henshin. Mike talks about his introduction at an early age into the world of anime and tokusatsu, his former podcast R5 Central, Vintage Henshin and the importance of history preservation, voice acting and more! The hosts discuss some of the biggest news items over the past couple weeks, including everything you wanted to know about Toy Fair New York and Hasbro Toy Fair! We talk about our excitement over the Power Rangers Beast Morphers premiere date revealed at the Hasbro Investor call, a new live stage show and fan experience, Boom! Studios next arc for Power Rangers, DJ White Shadow remixes, and the Lightning Collection announcement. Plus, we review the complete Power Rangers Beast Morphers toy line that debuted at Hasbro's Toy Fair Showroom. From role play items and zords to figures and PlaySkool, we give our reactions and excitement for everything that was on display. Finally, we answer your Questions from Ranger Nation and read your Ranger Nation Answers for what our listeners liked the most from the show and their hopes for the Hasbro Era of Power Rangers. In our second Secret Ranger Fan’s Super Subtext Slam Session, brought to you by our supporters on Patreon, Eric and A.P. watch Power Rangers Megaforce - "United We Stand". What is the secret behind Gia and Emma's friendship and what does it have to do with a very special flower? 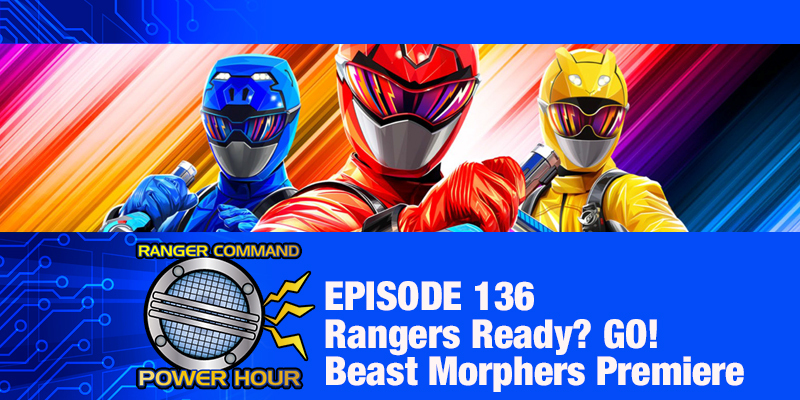 We also share our thoughts on the Power Rangers Beast Morphers trailer and intro theme and read reactions from our listeners in Ranger Nation. Was the theme song a hit? Finally, we answer your Questions from Ranger Nation. Eric breaks down the Boom! Studios comics for A.P., hopes for what they might adapt from Go-Busters into Beast Morphers, and we discuss the kiss that was cut from the finale of Ninja Steel. This is it Ranger Nation! Last week the premiere of Power Rangers Beast Morphers "Beast Unleashed" aired and all three hosts recorded together right after. Hear our complete geeking out and excitement in the best Power Rangers Premiere of the last 10 years! Then we read thoughts from our listeners. In our third Secret Ranger Fan’s Super Subtext Slam Session, brought to you by our supporters on Patreon, Eric, A.P. and Zach watch Power Rangers Samurai - "Unexpected Arrival". Who is the mysterious and creepy visitor to wherever the Nighlok they live? We also discuss the latest news including Beast Morphers Wave 1 toys found in Canada, MMPR: The Movie coming to a standalone Blu-ray release this summer and the synopsis for PRBM Episode Four - "Digital Deception". Then, we answer a Question from Ranger Nation: Are the Lightning Collection figures a suitable replacement for MMPR Figuarts? Finally, we tease an upcoming interview that no one in Power Rangers podcasting has ever achieved. 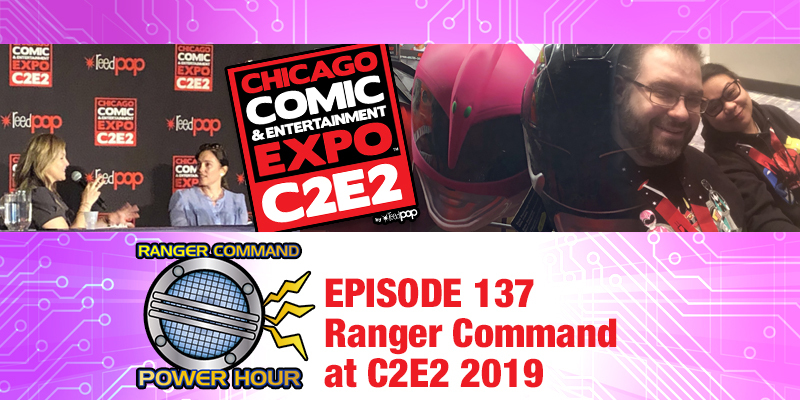 Hosts Eric and Theresa (@thetg17) discuss their time at the Chicago Comic and Entertainment Expo (C2E2). Listen as we talk about our favorite panels, our friends at the show, advice from Yakko of the Animaniacs, geeking out about cosplay and more! Then, we present Amy Jo Johnson's interview panel from March 23rd, Saturday of the convention. What did Eric and Theresa think of the panel? Listen and find out! A big thanks to C2E2 for hosting an amazing show for the past 10 years! Here's to 10 more! On this episode we can't even tell you who Eric and Zach are interviewing until you actually listen to the episode! We can guarantee, this is someone no one in Ranger Nation has interviewed. Enjoy the show! A special thanks to Kenn Glenn (@TheKennGlenn) for helping in organizing this interview. This episode was fun. When the interview was initially talked about a few weeks before, I wasn't even thinking about what date this could potentially land on. This is how jokes should go. It was silly, but entertaining, a good episode all around. Also, that voice work. Bravo! Haha yeah we tried to make it sound exciting and I think we definitely got a few people. It's not like we didn't say we were going to do this!